During the week I try and cook meals which can be prepared in half an hour. Fish is really good for making a speedy supper and a meal incorporating salmon can be cooked in around 20 minutes. When I was buying food the other day I saw some salmon portions with chilli and coriander on top. 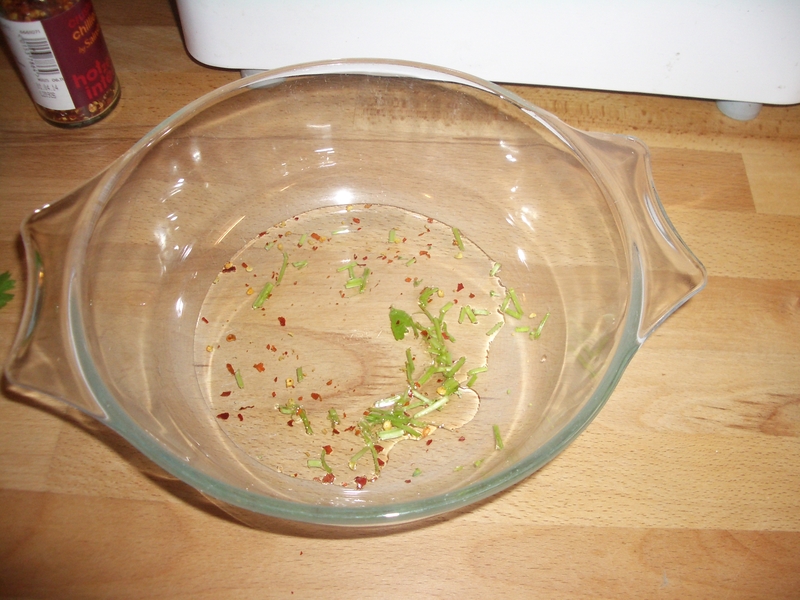 These were about 80p more than plain salmon – I bought the plain salmon, and as I already had dried chilli flakes and coriander at home, decided to try and make what I had seen in the supermarket. I put some veggies in the steamer to cook. Next I put some olive oil in a bowl, added some chopped coriander and chilli flakes and turned the salmon in the mixture. 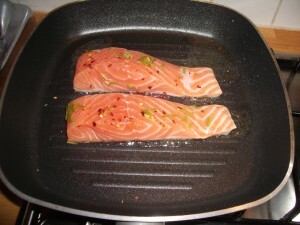 I heated up a griddle pan and cooked the salmon gently – this takes about 10 minutes. 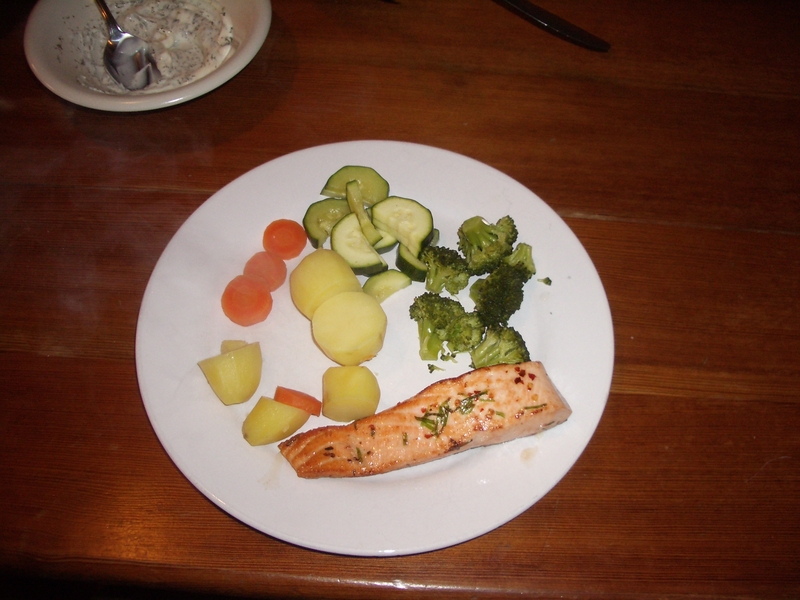 It’s best not to overcook salmon or it goes rubbery. 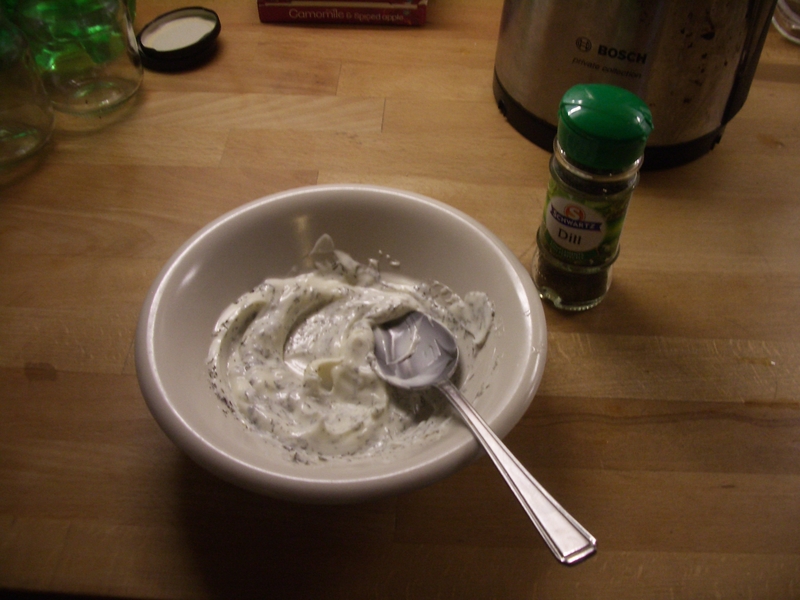 I served the salmon with some dill mayonnaise – all you do is put a couple of dessertspoons of mayonnaise in a bowl, add a teaspoon of dill and then mix it together. Here is the finished meal – start to finish in 20 minutes. Which meals are your speedy favourites?